Alzheimer’s disease destroys mental functions and memory and causes dementia. The resultant loss of social and intellectual skills could affect day-to-day life. There is no cure for this disease although there are management strategies and medications that can improve symptoms in the short-term and help Alzheimer’s patients function independently for longer. Symptoms of Alzheimer’s disease include memory loss, disorientation, problems with speaking, writing, thinking, reasoning, making decisions and judgments, performing familiar tasks and changes in behavior or personality. Alzheimer’s usually affects older people and could be caused by a combination of environmental factors, genetics or lifestyle. There are 2 abnormalities that can affect the brain cells of patients with Alzheimer’s – plaques and tangles. Plaques result in beta-amyloid proteins clumps forming in the brain cells and in tangles, tau protein needed for normal brain functioning get tangled. Both cause decline and damage to brain cells. Treatment for Alzheimer’s involves medications to improve cognitive function and memory. Research is investigating various therapeutic modules for Alzheimer’s disease. Also, there should be more focus on prevention of Alzheimer’s. Does turmeric/curcumin clinically help in Alzheimer’s disease? Turmeric and its active ingredient curcumin have multiple properties that benefit in Alzheimer’s. Curcumin inhibits the formation of beta amyloid plaques by various mechanisms. It inhibits the action of presenilin-1, one of the core proteins that contribute to the formation of these plaques. Animal as well as experimental studies reveal that curcumin reduces aggregation of amyloid beta plaques even at low dose. By virtue of its ability to clear beta amyloid plaques, researchers are investigating the perspective of developing inhalable curcumin treatment for Alzheimer’s. Bukhari et. al have identified various curcumin derivatives that clear beta amyloid toxicity and can benefit in Alzheimer’s. Curcumin derivatives are also found to inhibit tau protein aggregates. Curcumin has anti-amyloidogenic properties- it prevents formation of amyloid beta plaques as well as helps in clearance of such plaques. Curcumin also inhibits aggregation of tau protein in Alzheimer’s disease. Research suggests that use of NSAIDs such as chronic use of ibuprofen can reduce the risk of Alzheimer’s, but it is vital to note that these NSAIDs cause other toxicity. Lim et. al have proven that curcumin can be a natural alternative to such NSAIDs and help reduce neuroinflammation. Curcumin inhibits inflammation in Alzheimer’s by preventing amyloid beta plaques and acting on nuclear factor kappa B- a major protein that regulates inflammation. The unique structure of curcumin is very essential in reducing inflammation and amyloid beta plaques in Alzheimer’s. Curcumin can naturally help reduce inflammation in the brain and protect from nerve cell degeneration in Alzheimer’s disease. Exposure to heavy metal contaminants , risks the accumulation of such metals in the brain which trigger inflammation and accumulation of amyloid beta plaques in the brain. Curcumin derivatives are found to inhibit the accumulation of such heavy metals in Alzheimer’s diseases. A study published in Food Chemistry, 2016 investigated the role of various dietary antioxidants in Alzheimer’s disease. They served as metal chelators, prevented the formation of reactive oxygen species and inhibition formation of amyloid beta plaque. Huang et. al have demonstrated that curcumin reduces oxidative stress in an animal model of Alzheimer’s and thereby decreasing brain cell loss. Curcumin’s antioxidant action counteracts reactive oxygen species that contribute to the progression of Alzheimer’s disease and protects from neurotoxicity. Mitochondria are powerhouses of the cells and dysfunction of these units are observed in Alzheimer’s disease. Curcumin as an antioxidant can protect from such mitochondrial dysfunction in Alzheimer’s disease. Curcumin’s antioxidant action scavenges free radical species, reactive oxygen species and heavy metal ions; cumulative effect of which protect nerve cells in Alzheimer’s. Chin et. al comment that curcumin can serve as a neuroprotective (protecting the brain) agent in Alzheimer’s disease by virtue of its anti-amyloidogenic, anti-inflammatory, anti-oxidative, and metal chelating properties. Animal study shows that curcumin reverses amyloid beta formation and ameliorates structural changes in neurons. Curcumin nanoparticles are being investigated in relation to the treatment of Alzheimer’s and an experimental study suggests that curcumin can support neurogenesis- a brain self repair mechanism. 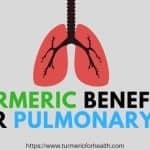 Turmeric as well as curcumin are naturally neuroprotective agents that protect nerve cells as well as cognitive function in neurodegenerative diseases. Glial fibrillary acidic protein is commonly expressed in nerve cells but in Alzheimer’s, it is identified as a marker of neurodegeneration or degeneration of nerve cells. Curcumin protects nerve cells and improves learning and memory abilities in Alzheimer’s disease. A study published in Plos One 2015, suggests that curcumin improves cognitive function in Alzheimer’s disease by elevating the levels of BDNF- a protein that supports nerve growth. Animal study shows that by virtue of its antioxidant property, curcumin can prevent the sudden onset of dementia in Alzheimer’s. A study published in the British Journal of Nutrition, 2016 examined the effect of curcumin supplementation in older individuals and their cognitive function. The study lasted for 12 months. Cognitive decline was observed in the placebo group but not in the curcumin group. Brondino et. al comment that curcumin is safe for short term use in dementia but till date, there is insufficient evidence to comment upon the clinical use of curcumin in dementia. Neuroimmunomodulation describes the nerve cell damage caused by the uncontrolled inflammatory process. Alzheimer’s disease is characterised by certain immune defects; under normal conditions, the immune system clears amyloid beta plaques but this is not the case in Alzheimer’s. Cashman et. al have proven that bisdemethoxycurcumin, a natural curcuminoid restores immune function in Alzheimer’s and stimulates immune cells to clear amyloid beta plaques by phagocytosis (the process by which immune cells engulf damaged cells and debris). Zhang et. al isolated immune cells from Alzheimer’s disease patients and treated them with curcuminoids. Treatment with curcuminoids enhanced the ability of immune cells to clear amyloid beta under experimental conditions. This suggests that curcuminoids can serve as a novel immunotherapy in Alzheimer’s disease. Curcuminoids can enhance the immune system function to clear amyloid beta plaques. Dietary curcumin protects the aging brain which suggests why India has a lower incidence of neurodegenerative disorders than the USA. A review article published in the British Journal of Nutrition, 2016 suggests that curcumin can prevent Alzheimer’s owing to its ability to prevent deposition of beta amyloid plaques, affect its metabolism and prevent cognitive dysfunction. Curcumin also acts as an inhibitor of this enzyme and prevents the development of Alzheimer’s disease. Reddy et. al suggest that curcumin works better in prevention rather than treatment of Alzheimer’s disease. Curcumin is a natural epigenetic agent and antioxidant which protects aging brain and dietary inclusion of curcumin can prevent Alzheimer’s disease. Few researchers have investigated the role of curcumin supplementation in Alzheimer’s disease patients. Baum et. al conducted the first study in 2008 investigating the effect of curcumin supplementation in Alzheimer’s patients for 6 months. The study involved 34 Chinese patients suffering from Alzheimer’s and above the age of 50. 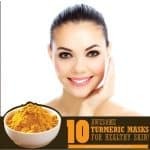 They received either 0, 1 or 4g of curcumin either in capsule or powder form along with gingko leaf extract. The amyloid beta levels in the blood increased with curcumin treatment suggesting that curcumin was able to disrupt amyloid beta plaques in the brain and disintegrate them. However, there were no differences in cognitive decline in placebo and treatment group and the symptoms of Alzheimer’s were not relieved. Also, a couple of adverse events were noted. Therefore despite of changes at a biochemical level, curcumin did not benefit in Alzheimer’s clinically. Researchers at UCLA conducted a study where 36 individuals suffering from Alzheimer’s disease were treated with either placebo, 2g or 4g of curcumin (Curcumin C3 complex). Various biochemical tests were conducted as well as the cognitive function was studied. The study lasted for 24 weeks. No biochemical test showed any clinical efficacy of curcumin treatment. Also, curcumin was not detected in the body due to its rapid metabolism. 3 patients from the curcumin group experienced gastrointestinal side effects. The study by Hishikawa et.al is the only study that shows moderate clinical efficacy of turmeric in Alzheimer’s. 3 individuals suffering from Alzheimer’s and dementia were involved in this study. The first patient was an 83 year old female who have developed memory loss and progressive dementia since 76. She suffered from anxiety, irritability, agitation and urinary incontinence. She was unable to perform household tasks and required a caregiver. She received conventional treatment and Yokukansan. 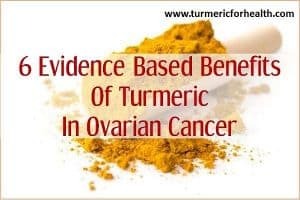 With 1 year of turmeric treatment , which was at a dose of 764 mg turmeric (100mg of curcumin per day) she experienced significant relief from dementia. Within 12 weeks of treatment, the difference in symptoms as well as reduced requirement of caregiver help was observed. Anxiety, agitation and urinary incontinence was relieved. Within a year she started identifying her family, was reminded of her late husband and lived peacefully without symptoms of dementia. The second patient was an 84 year old female with severe cognitive decline and dementia. She experienced hallucination, disorientation, forgetfulness, depression and could not be treated with standard therapy due to side effects. She was prescribed Yokukansan and atypical antipsychotic drugs. 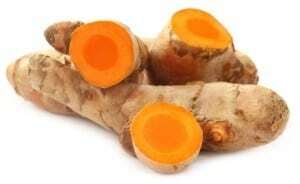 With turmeric treatment her symptoms of anxiety, depression, hallucination and agitation were relieved. Within 12 weeks dementia related symptoms were reduced and she could distinguish family members from staff. The third patient was a 79 year old male who experienced short term memory loss and was being treated with standard therapy. He was also being treated for hypertension. 12 week treatment with turmeric reduced anxiety, depression, and irritability. Scoring for his cognitive function improved and his calculation concentration and spontaneous writing improved. All the patients continued turmeric treatment for more than a year and were reported to live peacefully with family. Researchers concluded that multiple properties of turmeric like the ability to regulate neurotransmitters, reduce inflammation and antioxidant action benefit in Alzheimer’s. Therefore it should be considered as an add-on therapy to standard treatment in Alzheimer’s to relieve dementia and improve quality of life in Alzheimer’s. 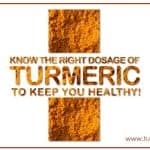 It is important to note that the last study utilized turmeric and the treatment lasted for 1 year. 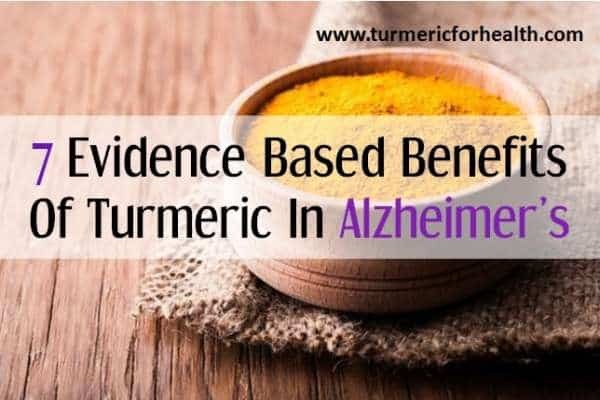 Keeping these factors in mind more clinical studies should be conducted to evaluate the efficacy of chronic treatment of turmeric in more bioavailable forms in Alzheimer’s disease. Till date sufficient clinical evidence is not available to comment on the clinical efficacy of curcumin or turmeric in Alzheimer’s disease. Addition of turmeric (close to 1g per day) is found to relieve dementia related symptoms in Alzheimer’s patients. Here is a list of commonly asked questions in relation to turmeric’s therapeutic efficacy in Alzheimer’s with answers. 1. Can turmeric treat Alzheimer’s disease? Turmeric and curcumin have various properties that are proven to benefit in Alzheimer’s disease. However, no clinical trial confirms its clinical utility in Alzheimer’s which could be caused by its limited absorption. 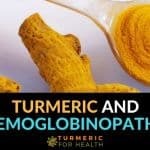 Dietary turmeric could be of help in improving immunity and quality of life in Alzheimer’s disease. 2. 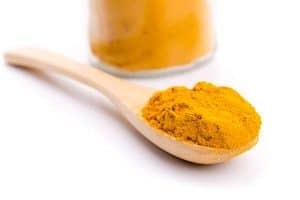 Does turmeric reduce dementia? 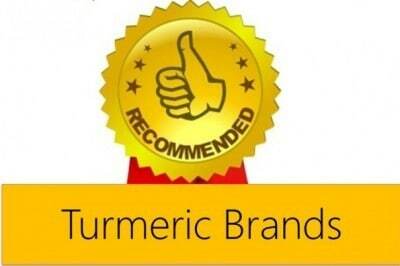 Various animal studies prove that turmeric and curcumin reduce and reverse dementia. Only 1 study confirms the beneficial effect of turmeric treatment in reversing dementia in Alzheimer’s over a period of 1 year. Various other studies suggest that curcumin supplementation protects cognitive function in the elderly. More studies are required for concrete data on this. 3. Can turmeric prevent Alzheimer’s disease? Countries consuming turmeric in the diet on a daily basis have reduced the incidence of neurodegenerative diseases. Curcumin’s property to regulate genes and antioxidant property can help in the prevention of Alzheimer’s. 4. 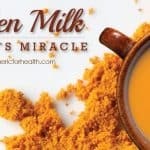 What dose of turmeric should I take for Alzheimer’s? 5. 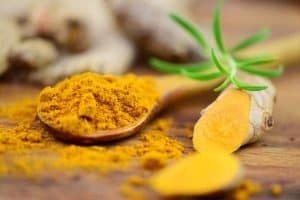 Should I take whole turmeric or curcumin for Alzheimer’s? We recommend whole turmeric or turmeric powder for Alzheimer’s over curcumin as it contains curcumin as well as other therapeutic compounds. Also, clinical evidence suggests that turmeric may be more beneficial than curcumin in Alzheimer’s. 6. 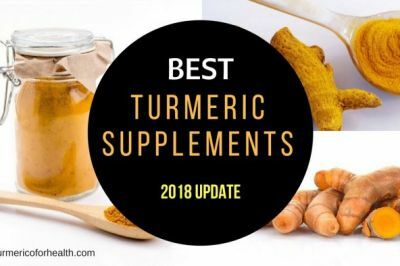 Is it safe to take turmeric/Golden Paste with turmeric supplements in Alzheimer’s? 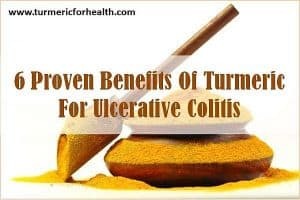 Yes, it is safe to take Golden Paste or turmeric in diet when taking supplements; however it is advisable to limit to low doses say 1-2 teaspoon in a day to avoid gastric discomfort. 7. 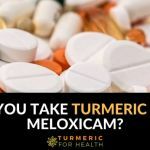 Can I take turmeric with standard medications in Alzheimer’s? Yes, it is safe to take turmeric in diet when taking medications for Alzheimer’s. 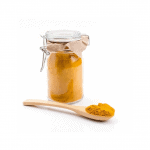 If taking large doses of Golden Paste avoid taking it close to the time of taking other medicines. 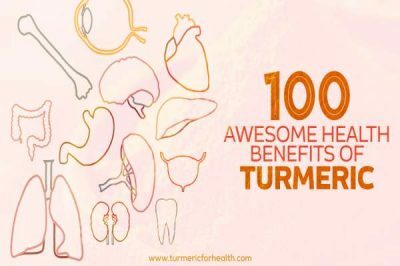 Consult a doctor before taking turmeric supplements. 8. How long does it take for turmeric to benefit in Alzheimer’s? There is not sufficient clinical evidence available on this and it also depends on the severity of the condition. Chronic therapy of 3-6 months may be necessary. There is no specific dose of turmeric prescribed for Alzheimer’s. 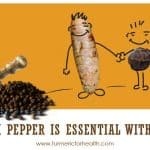 Dietary turmeric is safe and inclusion in diet can help prevent Alzheimer’s. 1 teaspoon of turmeric powder included in divided doses in cooking through the day can help protect aging brain and aid in the prevention of neurodegenerative diseases. Golden Paste incorporates turmeric with black pepper and healthy fats for better absorption. 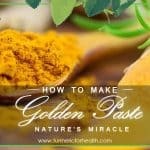 Here is the recipe for Golden Paste made from turmeric powder. If making it from fresh roots then find the recipe here. The ideal dose differs from person to person; some require less while some require more. It depends on what suits you and what dose your stomach can tolerate. This dose can aid in the prevention of Alzheimer’s and also can aid improving immunity and antioxidant defense in Alzheimer’s patient. This dose can also help in protecting memory and cognitive function in healthy individuals. 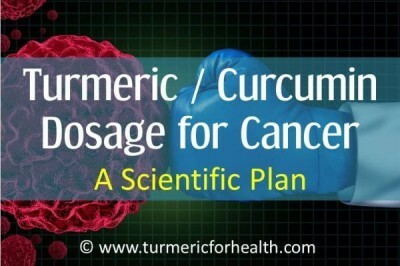 A research published in the year 2014 looks into the effect of curcumin and cur1 on the expression of telomerase enzyme. It was found that all the adverse effects like increase in cell toxicity, oxidative damage and reduced expression of hTERT produced by Aβ1-42 were alleviated by curcumin and cur1, the latter being more effective. Also, the therapeutic effect of curcumin faded away with the suppression of telomerase expression indicating the dependence of curcumin and cur1 on telomerase for curing age-related disorders. 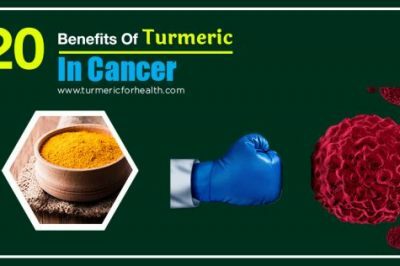 Adopting a healthy lifestyle, regular exercise and small doses of turmeric can be an important medium for fighting aging and related disorders. It reverses telomere shortening and oxidative stress in an AD brain indicating its potential to help in Alzheimer’s disease. 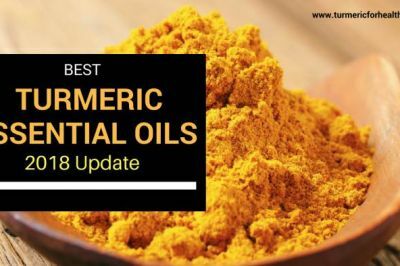 A 2012 research study published in the journal Ayu proves the outstanding effects of turmeric in improving the cognitive decline and behavioral symptoms of Alzheimer’s disease. The research comprised of 3 patients severely suffering from Alzheimer’s disease and exhibiting problems of irritability, anxiety, apathy, agitation etc. Two of them also suffered from urinary incontinence and wonderings. 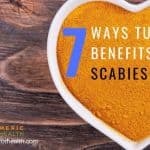 The patients were administered with turmeric capsules. Remarkable results in terms of a decrease in behavioral and psychological symptoms of dementia (BPSD), the burden on caregivers and improvement in mini-mental state examination (MMSE) scores were observed after 12 weeks. No side effects and re- exacerbation symptoms were reported within a year of study. While the MMSE result was up by 5 points in one patient, the other two patients came to recognize their families within a year of turmeric treatment. A remarkable result indeed! We, therefore conclude that turmeric, a readily available spice is highly effective against the Alzheimer’s disease with no side effects. It successfully causes the degeneration of Alzheimer causing amyloid plague. It’s anti-inflammatory, antioxidative, anti-cytotoxic, neurorestorative and metal chelating properties, make it a better medicine than the commercially available Donepezil drug against the Alzheimer’s disease. Around 5.4 million Americans are affected with Alzheimer’s, 5.2 million above the age of 65 while the rest suffer from early onset Alzheimer’s. Turmeric benefits in neurodegenerative disorders as a result of its neuroprotective action, anti-inflammatory and antioxidant activity. Daily incorporation of turmeric in diet can reduce the prevalence of neurodegenerative diseases like Alzheimer’s. Research shows that curcumin and turmeric have multiple properties that can serve to be therapeutic in Alzheimer’s. However more clinical studies are required to confirm the effectiveness of turmeric and curcumin treatment in Alzheimer’s disease. I m taking propranalol n amitriptyline. Can I take curcumin supplement to slow down alzheimer? Hi. 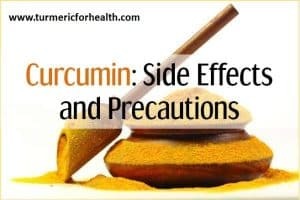 We have not come across any research that would indicate whether curcumin interacts with the medications you mentioned. Please consult your doctor first. If you plan on taking curcumin supplements, please take them after a meal and maintain a 3-4 hour gap between taking them and any medication to avoid drug interactions. Hope this helps.